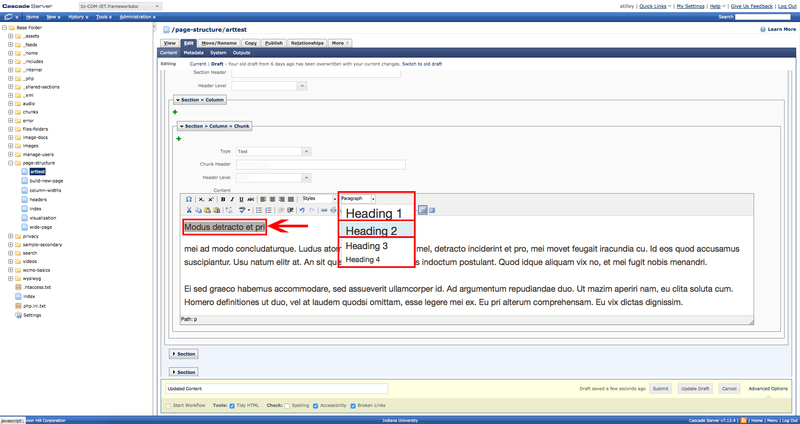 *Note: Within this framework, the page title utilizes an h1 header, so when creating headers, begin with h2. Headers are not only useful for enriching user experience on a website, but they are also extremely important for several functions. One of the main functions of the header heirarchy is used in search engine optimization, or SEO. SEO is utilized by search engines like Google and Bing and affects the visibility of a webpage within a user search. When an SEO analyzes a website, it utilizes the headers, especially the h1 level header, to help it index and caterogize a search, ranking a page with the most similiar h1 headers to the users search. Another function of the header is for users who are using a screen reader. A screen reader is a program that translates the content of a webpage from text and images to speech. Along with the alt text tag on an image, a screen reader utilizes the headers to help translate a webpage to a format which is more accessible to those who need an assistive technology. 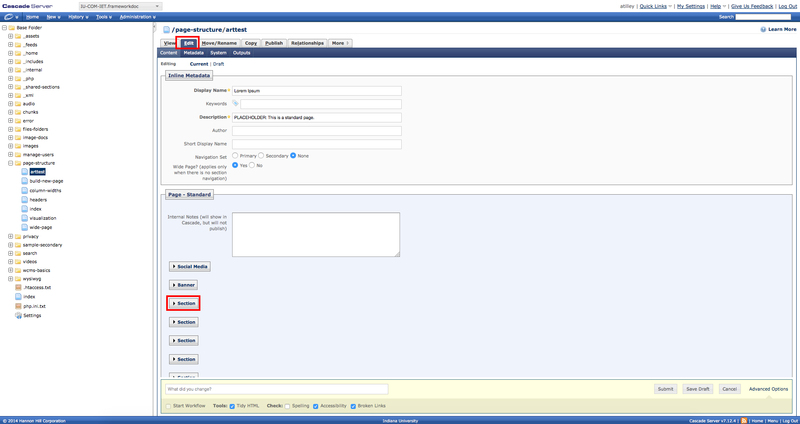 Step 1: Click on Edit, then Drop down the Section menu. 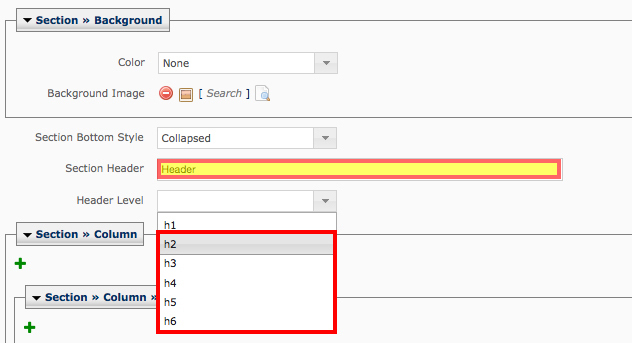 Step 2: Drop down the Section >> Column >> Chunk menu. 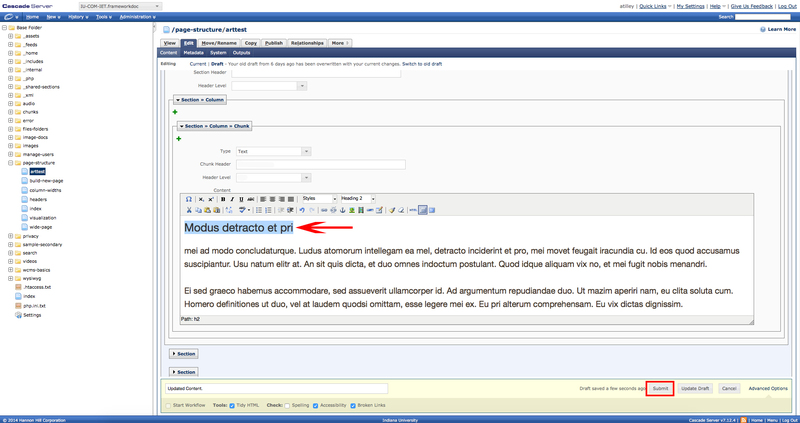 Select the text you want to add a header level to by highlighting it. 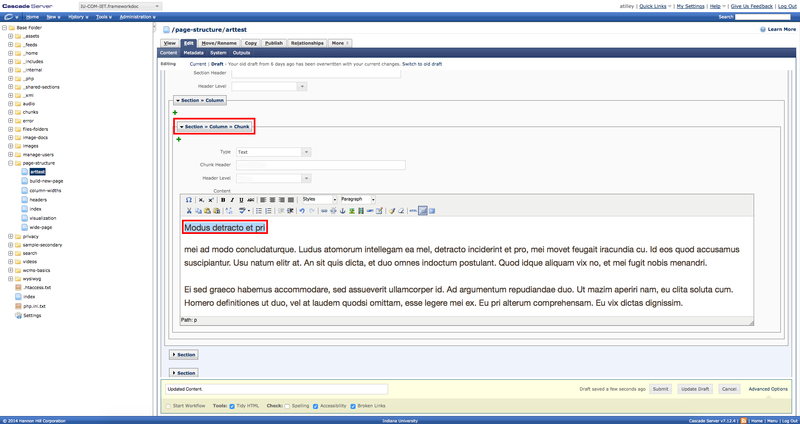 Step 3: With the text still highlighted, expand the Paragraph menu. Choose a header level. Avoid breaking the hierarchy of headings and remember that in this framework the page title is already in <h1> level, and there should be no more than one <h1> level per page, so please begin with <h2>. Step 4: You will notice that the text size will change. Step 5: Remember to click Submit and Publish your document.